Spain's most important tournament will be held from 5 to 12 May 2019. 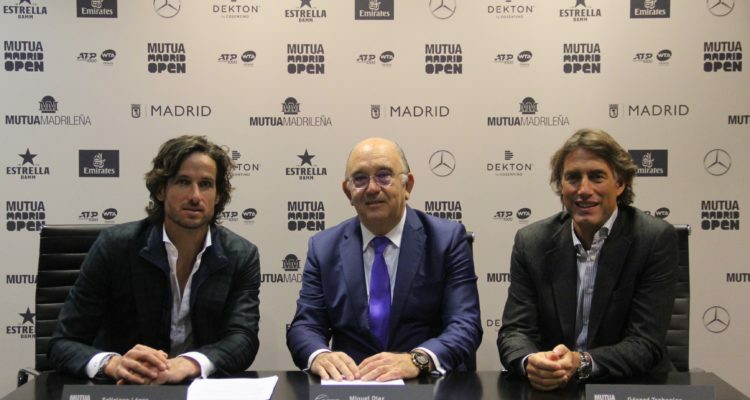 The Spanish Tennis Federation (RFET) and the Mutua Madrid Open have come to an agreement on officiating, training and the promotion as well as the development of tennis. The contract lasts for the next two years. The RFET, through the Spanish Committee of Tennis Referees (CEAT), will be responsible for organizing and supervising the work of the officiating team of the most important tournament held in Spain. The RFET develops all the competences for officiating in all its categories in the national territory. It is responsible for the initial and continuous training, as well as for the degrees of the professionals umpires. It will select and direct the work of the referees, who will work at the Mutua Madrid Open, as it does with the rest of the competition in Spain. This entry was posted in ATP Masters 1000 Madrid, ATP Tour and tagged Feliciano Lopez, Mutua Madrid Open.